Wolfgang Halbig, a former Florida State Trooper, school principal and nationally recognized school safety expert, is the leading researcher into the Sandy Hook. After filing complaint upon complaint about the failure of responses to his FOIA (Freedom of Information Act) requests, he was granted a hearing, which was initially scheduled for March 31, 2015. Wolfgang waited, but the time came and went. It was re-booked for April 24th and has taken place. Here is an exclusive interview with Wolfgang by MBC (Media Broadcasting Center), where a video recording of the hearing and a panel discussion of what had transpired during the hearing with many serious students of Sandy Hook follow. 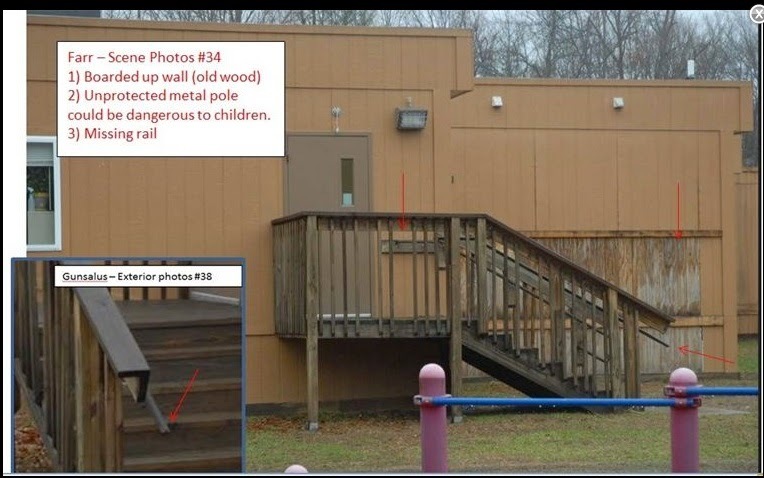 Among our most important discoveries has been the FEMA manual for the Sandy Hook event, which specifies that a rehearsal will be conducted on December 13, 2012, with the event going “LIVE” on the 14th, which explains why Wolf has been unable to obtain information about the Port-A-Potties, which on its face seems very obscure, but where releasing the documents he has requested would reveal that they were delivered on the 13th, which blows the cover for the whole event. Bear in mind that, while we already know that it was a scam, but Wolf is proceeding to establish that point as a matter of law. Kelley Watt has summarized the event as follows: On Friday, April 24, 2015, Wolfgang had his long overdue and awaited hearing before the Freedom of Information Commission. The Commissioner is a Governor Malloy appointee. The discussion dealt with the consent agenda regarding the Super Bowl permission by Dawn Hochsprung (“the hoax was sprung in the dawn”), documents for which Wolf had requested. Monte Frank, an attorney, was present representing the School Board, the Newtown Police and the Town of Newtown. Frank claimed Wolf had the documents he needed and had requested but Wolf stood firm and stated he wanted permission slips of children to sing, authorization from Dawn and the school board approving the field trip and those documents he did not receive. Wolf also took issue with documents regarding Chatfield’s in regards to the Porta-A-Potties and who called for them he wanted but did not receive the documents from the school board or the school since the school would have to be the party ordering them since they are on their property. Wolf then brought up the fact that there were no documents pertaining to communications between Connecticut Trooper One and the Newtown police. Chief Kehoe of the Newtown Police Department has claimed there were no communication logs, yet it was the Newtown police who asked for Trooper One helicopter to help search for a shooter or multiple shooters in the woods behind the school. Then it was the man in charge of maintenance for Sandy Hook schools who garnered laughter from the crowd when he stated he had read the work orders but didn’t know if they existed. The FOIA requests that Wolf received had two unsigned signature lines at the bottom stating that the work had been done and signed off on by a supervisor; however, this man stated that they were not signed and that they just signed off verbally. When asked when the new security system was installed, he stated it was last updated in 2007! 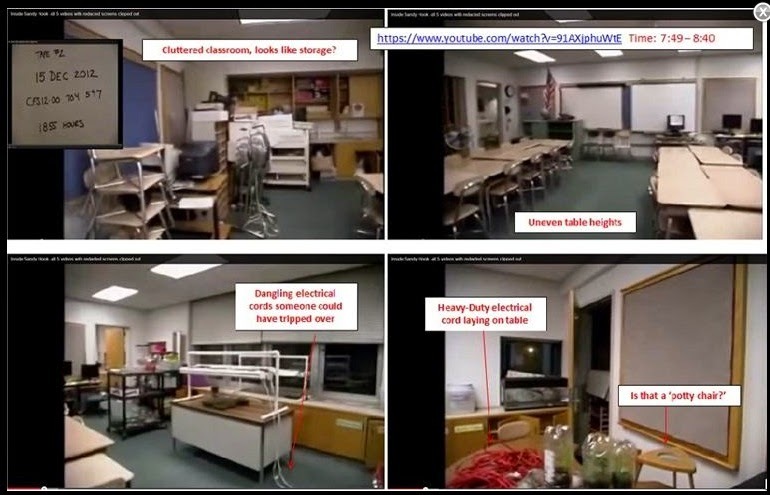 This was new information to all researchers and when Wolf was asked why he thought there was a new system, Wolf said every news outlet in America reported the school had a new system and the school principal, Mrs. Hochsprung had sent out letters to parents describing the new security upgrades. Monte said it was “hearsay” and he objected to it being in the record based on hearsay. The question also arose during the hearing why, after the first 911 calls were made, the police records indicate the incident was “moderate” rather than an emergency, where the unknown person in the vicinity was said to be “unwanted”. Most of the meeting consisted of Monte Frank, objecting to things, asking that things not be put in the record, and contending that most of the items Wolf was pursuing were irrelevant. Much to Wolf’s amazement, the Lt. Governor and Malloy walked right by Wolf, so Wolf said, “Hello, I am Wolfgang Halbig. Can I ask you a question?” Malloy said “Sure.” So Wolf asked who had spoken to him in advance apprising him that something like this might happen in your state. Governor Malloy’s response was “I never said that!”, which was rather astonishing, since the Governor’s press conference the day of the event was recorded and widely publicized at the time. Wolf now has his denial on film! Governor Malloy blundered here, no doubt because he did not want to admit that the person who had warned him “something like this might happen” appears to have been Attorney General Eric Holder, who visited with the governor on November 27, 2012, which was only a few weeks before the event at Sandy Hook would go down. Yet the governor made no effort to warn Connecticut school districts to enhance their security due to an imminent threat. I surmise he was in fact told they were going to take an abandoned school and conduct a drill and present it as real to promote the admin’s anti-gun agenda. If these are not compelling, there are many more. You will find gutters in need of repair, walls covered with moss, leaks and stains that require attention, classrooms filled with boxes and miscellaneous stuff, which have now been released because of Wolfgang’s heroic actions. I have no doubt that his approach is going to drive legal nails into the coffin of the Sandy Hook hoax, where I encourage everyone to visit his site and contribute to his cause. He is a good and decent man, whom I personally support 100%. 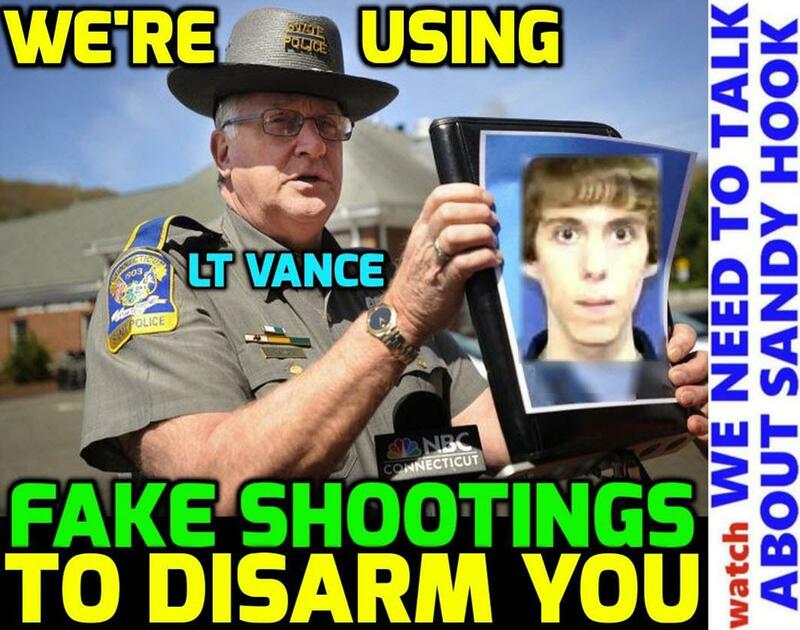 LT Vance is supposedly CT State Police, but might be DHS. On Feb 26 2015, the government yanked LT Paul Vance off his 16-year job as Spokesman (for CT State Police), and reassigned him to the Traffic Division. Probably because too many questions were being asked about the fake Sandy Hook "massacre." Newtown was a treasonous Hoax. Nobody died. No AR-15 was used. Nobody got shot. There's a simple way to confirm if SHES was open or closed from 2008-2012. Go to Linkedin, and search "Sandy Hook Elementary School." See how many teachers' resumes claim they worked there from 2008-2012? If many teachers list it in their resumes, it must have been open. If no teachers list it, it must have been closed. Case closed. What is very disquieting here is that there is apparently no way to force these conspirators into the open to the point where the hoax will collapse publicly. How different is this from what went on in Stalinist Russia? Then no matter how absurd the situation it went according to Stalin whose will was law. We are only a small step or two from there! But were this to go further it would implicate the governor who would then implicate Holder who would implicate Obama. So we can see there is an obstacle to truth here. We are the black man in the South in the 1920's and they are the whites. Justice has been abducted. "Z" (1969) An investigating magistrate pursuing a murder case in Greece in the 1960"s. A hero just like Wolfgang Halbig. How do things turn out? "Instead of the expected positive outcome, the prosecutor is mysteriously removed from the case, key witnesses die under suspicious circumstances, the assassins receive (relatively) short sentences, the officers receive only administrative reprimands, the Deputy's close associates die or are deported, and the photojournalist is sent to prison for disclosing official documents." Wikipedia I know this surprises no one as it has happened in the USA numerous times. We need to keep this in mind as it explains why these things can even happen and why there is no consequence. Crime is paying well for now. LinkedIn does not have a page for Sandy Hook Elementary School. Thanks for keeping this story out there, Jim. Please keep it up. And with your help, The Truth Will Out. Jim, keep this work going. One simple way is to get the electricity bills for the previous five years at the school. No electric use on regular basis, no school. As for Jade Helm, the sea is the key. Finish it off! Obama would implicate AIPAC and American Jewry. AIPAC and American Jews would implicate Israel. The Bowers/Rothschilds have been running the West for the past 200 years. What makes you think anything has changed? Israel was a Rothschild pet project from its inception. Naturally, Israel would implicate the real King of the Jew, Rothschild. Wolfgang made many separate requests for records and from what I have read so far, not one single one of those requests was fulfilled completely, accurately and timely. Each records provided was highly irregular in some glaring way. The records requested should have been provided with no problems whatsoever since none of the material requested was of a privileged or exempted nature. The hearings should not have been necessary and both hearings were an elaborate costly production for the state, showing to what lengths they will go to cover up the Sandy Hook hoax. 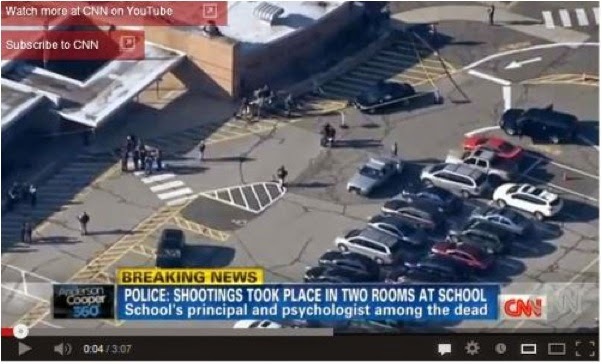 The Sandy Hook hoax is just another in a long line of false events staged by our government on U.S. soil. The hundreds of "crisis actors" out there connected with all of these events are either hiding in fear or at least keeping a very low profile. They each know too much and there is probably a roving hit squad ready to eliminate anyone who steps out of line and does not maintain complete silence and relative invisibility. Thank you, Wolfgang Halbig, true American hero. You took action when no one else would. You did what you said you would. We citizens of this once great country are forever indebted to you for shining the light of truth in our disintegrating constitutional republic. God be with you Wolfgang.Be safe.They want you GONE. "On Feb 26 2015, the government yanked LT Paul Vance off his 16-year job as Spokesman (for CT State Police), and reassigned him to the Traffic Division. Probably because too many questions were being asked about the fake Sandy Hook "massacre." I recently viewed a video of Vance admitting that he had been "fired" and moved to a lower position. Those where not his exact words but were the tone and gist of his words. It was like he was confessing sin and that he was publically revealing his shame. To me this ostensible very public and abrupt firing / demoting action against Vance and his public admission of this IS ALL PART OF THE SCRIPT. The plotter of Sandy Hook HAD USE OF this public shaming of main Sandy Hook event spokesperson. "They" really are telling the world that those who distort the truth that we tell you the Sandy Hook event was will be severely punished and publicly shamed. We will not tolerate people who fail in their mission to convey the "truth" about Sandy Hook to the public. Just as other purported abrupt firings or demotions of top level people, Norman Minetta comes to mind, because those top level people supposedly "told too much truth" or "spoke out of school" are NOT in fact real punishments against the actor, but in reality, the actor who did not play his role well is still acting in the script he sold his soul to have a role in is probably being nicely rewarded still even in his ostensible shaming and demotion. Vance is still playing his evil role in the evil ongoing script. When it looks like the public is not buying the story, the script gets tweaked on an ongoing basis to psychologically reinforce incorrect thinking in the public mind, sort of like a booster shot vaccine to lock down critical thinking. Unfortunately we the gullible public keep falling for this stuff. It is highly crafted mind control using all the psychological manipulation mass mind control tricks that the CIA has taken to a fine science. When a high-level government official is truly fired or demoted as a punishment for their failure at a crucial time on a crucial matter, the employee, at best, will be send down to the basement as a file clerk never to be heard from again. The employee will feel thankful to still have a rotten, low paying job. The employee will not be eager to do a public video bringing attention to his failure and degradation. So so sad Wolgangs recent attorney has quit due to being threatened will we ever get the answers we deserve?! One thing is for certain, God is not the "sky fairy" and He will have the last say! The Lake of Fire. No one w/o His provision, Grace=Unmerited Favor through Belief and Trust in His Son Yahshua's (Yahushua's) Atonement will escape His judgement. So enjoy your sin for a season! Eternity is a long time. This is a paradox of an integral (∫) anomaly that will not be solved until either the anomaly is brought within the parameters of definite limits or allowed to mutate into it's own hybrid error antiderivative of quantum reality. In any case, manipulating the masses for the benefit of socialist programs is nothing new to us. How true and I'm Jewish. Remember though, that Judiadm is not Zionism. Zionism is the real evil here. You have identified the bottom of the rabbit hole and the international cabal. #Giggle, #Giggle+, #YouBribes, #SAple, #FakeBoobs Are invading and shaping political Free Speech, if they can't get American Guns, they will shut them up from forming together to see the corruption since 1776.